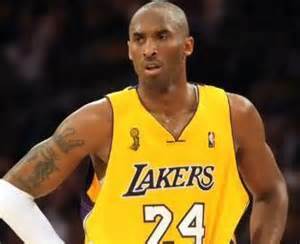 Home » Hoops » WHY IS KOBE BRYANT SO ARROGANT? There are countless fans of Kobe Bryant throughout the world. In my opinion, Kobe Bryant will go down as the second best two guard in NBA history. A major flaw of Bryant is his extreme level of arrogance towards people who aren’t as good as him. I read an article that talked about Bryant blasting his former teammate named William “Smush” Parker. He told reporters that Parker didn’t deserve to be in the NBA. He basically described Parker as a complete scrub by saying “He shouldn’t have been in the NBA, but we were too cheap to pay for a point guard.” What kind of statement is that? The level of arrogance he displays is sickening. I will vouch for Smush Parker because he wasn’t as bad as Bryant leads people to believe. In the 2005-06 seasons, Parker averaged 11.5 points and 3.7 assist per game as the starting point guard. These were great numbers in comparison to any other point guard that’s started alongside Bryant. Parker followed up the next season with averages of 11.1 points and 2.8 assist per game. Again, these are not All-Star caliber stats, but they aren’t as pathetic as Kobe Bryant’s dissection of Parker’s game. Kobe would be very offended if everyone called him out on his performance in the 2005 playoffs where he literally quit on his team in the series against the Phoenix Suns. The Lakers star acted like a spoiled brat, due to not having the type of guys around him to win. He truly quit on his teammates and coaches to send a message to the Lakers brass. After the series was over, Jerry West orchestrated a joke of a deal to get Pau Gasol in a Lakers uniform. The addition of Gasol allowed the Lakers to get back to their winning ways. The point of this article is to shine some light on the man who wants to be the duplicate of Michael Jordan. In Bryant’s earlier years as a pro, it would be evident who he emulated his game after. Bryant idolized Jordan to the point where people were noticing the similarities in their mannerisms. Every dunk he made, his tongue was wagging, all the crucial shots he made his fist was held high. The worst of the similarities happened when ESPN did a side by side of Jordan and Bryant walking. Yes indeed, the dude even walked like Mike, now how pathetic is that. Kobe wants to be Mike so bad that I believe he will do whatever it takes to win that 6th championship. Even if he gets it, he will never be as great as Jordan. When it is all said and done Jordan has a 6-0 record in the NBA Finals along with 6 NBA Finals MVP trophies.